The British Gazette » Getting wet. Getting money. One of the reasons I moved to the far west of Cornwall was the scenery. I like to walk along the coast path. I am a creature of habit however and tend top stick to the same stretch of path. The view above is one I see frequently, although the weather always changes. The view is never the same from one day to the next. However, down ‘ere, we get a lot of weather. We get wind (a lot) we get rain (a fair amount) and then we get fog (a lot). Sometimes we get all three at the same time! But we do also get calm sunny days as well. Those are the ones the tourists come for although they are spaced throughout the year and not always in July and August. One of the things one develops is a skill in judging the direction of rainstorms out at sea and where they are going to hit – if they are – and how soon will the first wind blown drops of rain hit. Last night, looking at the fools in the House of Fools could not agree on anything things looked ominous. As stated above, I am a creature of habit. The first thing I do after breakfast is to go into the former bedroom (where the previous owner slept), switching on the PC and download the emails. Then I load up the internet browser and go to the bookmarks on the London Stock Exchange and check the prices of the shares I own. The prices are holding up well. So close to the prospect of a no deal Brexit, one would have expected panic and a depressed set of share prices. This is so weird! 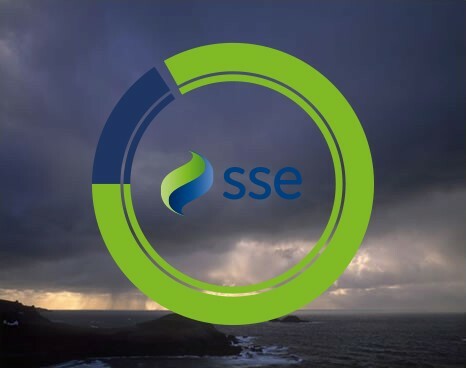 Yesterday, SSE PLC was down and now they’ve bounced back a little. With the nationalisation risk should Comrade Corbyn ever get the keys to #10 – a prospect that looks increasingly likely – the shares are down on earlier levels. They hit a low of £10.265 on 27th December 2018. For the final dividend (the big one), the shares go XD on 25th July 2019 with payment on 20th September 2019. Given the current political situation, the shares are a punt and the yield reflects that. I am watching them. My decision (to buy) will be based on what happens over the coming days. If the present farce continues as now and a no deal Brexit looks more likely, what should happen is that the shares should begin to fall – sharply! Now of course, I must always keep in mind the sound advice of our late King, Edward VII – as was quoted in yesterday’s post (http://www.british-gazette.co.uk/2019/04/01/brexit-betting-the-farm-2/) – NEVER gamble with that which you cannot comfortably afford to loose! What we have to bear in mind is that the UK is now in a “No Win Situation”. Madame Mayhem, in a vain attempt to court Aggressive Arlene and keep Boris the Buffoon and his supporters happy has steered a course that was always bound for the rocks. Not that the Tories are entirely to blame. Labour has sought to exploit the situation with the hope of getting Comrade Corbyn and Comrade McDonnell into #s 10 and 11 Downing Street respectively. As foreign politicians, EU leaders and members of the EU Commission have a natural reluctance to become directly embroiled in the internal politics of a member state but they have been led to issuing statements suggesting that the UK’s politicians should look to the UK’s interests and not the interests of their own parties. As always, the great imponderable is Madame Mayhem herself. Notwithstanding the difficulties of the situation, the division in her party and the fact that cabinet government has effectively come to an end and exists in name only, Madame is still Prime Minister and First Lord of the Treasury and as such has the power of the Royal Prerogative. The FACT of the matter is this: The only person who can remove Madame from office is Her Majesty the Queen. Insofar as SSE PLC is concerned, I and going to keep watching and waiting. I am reminded of Suzie. Suzie was our cat. Long dead now, she would like other domestic felines, find a position of cover and sit and wait. If a bird landed she would fix her gaze on the creature and watch and wait. She would only launch her attack run when she judged she could reach the bird. Sometimes her judgement was spot on and she caught it. Other times it was wrong and the bird flew away. There were many times when the bird became aware of Suzie’s presence and flew away before Suzie was in a position to make a run. As it was with Suzie, so it is with me. Hopefully (in terms of the national interest) the situation will resolve itself and the prospect of a no deal Brexit will go away either by the fools voting for Meaningless Vote #4 with the Kyle-Wilson amendment attached to it or by the fools actually ending up voting for it non-amended and in time to get another A50 extension. If not, we could be looking at Madame attending in the manner of a supplicant the EU27 in Brussels on Wednesday 10th April 2019. IF the EU27 decided against extending any more time then Madame will be faced with a most unenviable situation! At this point the clock becomes of crucial importance! The important time on this important date (10th April 2019) will be 4:30PM British Summer Time which in Brussels will be 5:30PM local time. If there is bad news – no extension – WHEN this news is given to the press is of crucial importance. It is likely to be AFTER 5:30PM Brussels time. Because the London Stock Exchange closes at 4:30PM! , President of the European Commission. IF this happens, it MIGHT be the case that Madame will at that press conference announce to the world (and the UK) that she has used the Royal Prerogative to revoke Article 50. This of course will be part of a speech justifying it. She will doubtless refer to her earlier statements that no agreeing to the Withdrawal Agreement could lead to no Brexit. She may declare that faced with the chaos and damage of a no deal Brexit, the only option to preserve the jobs and livelihoods of many Britons was to revoke. Presumably in those circumstances she would announce her intention to resign as PM but would remain in office until her successor was chosen who in all likelihood would seek a General Election. IF events unfold as described above, the London market would open up the next day. Sterling of course is traded continuously around the world and there would be immediate gains in value. Of course, were the above to happen it is possible that the Tories will split. It might be that the Tories supporting a no deal Brexit could walk – along with their constituency associations – and possibly join the Brexit Party led by a certain Nigel Farage. For me, if it looks like a no deal is looming and SSE PLC dropped to £10 or below, I might judge the shares are worth a punt. PS > 3:16PM: At least my judgement re the weather is good. I just got back from my walk, got inside having taken my clobber off and spots of rain appeared on the window.